I love Bibles. Each one is so unique in the use and insight it provides. This one is no exception. "I am only one; but still I am one. I cannot do everything, but still I an do something." - Helen Keller. At the bottom of each page, the verses are explained and on many pages there is quite a bit of additional information to be gathered and considered. Many topics of interest are discussed and covered in the side notes and small boxes of information recorded, some interesting ones included are Cosmetics, Eating Disorders, Pregnancy, Hair.... You get the picture. This is definitely a study Bible, as it was difficult for me to get through a chapter without stopping to read a portion here or there of explanation for that passage. But that made it very interesting also. The appendix contains various helpful sections, such as, a concordance, index, maps, measurement and money, etc... 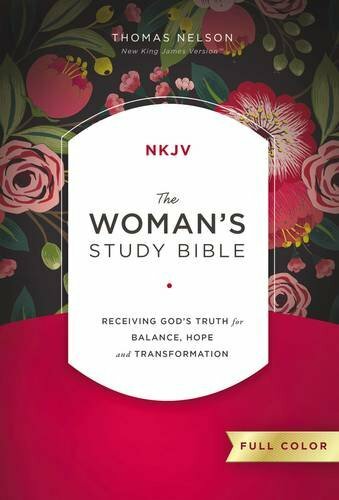 I believe a woman looking to delve deeper into God's Word and grow in her spiritual life will benefit from this Bible. It would make a very nice gift. I received my copy free from Book Look to read and review. I was not required to give a positive review and I am certainly looking forward to all the insight I will be gleaning from this Bible. All opinions provided are my own. This sounds really good. I'll have to look into getting this one.